I'll confess that I was less enthused about the Oscars this year than the years past. I'm not entirely sure why, but it may be because I'm focusing more on other interests such as baseball, My Little Pony, and video games? I had considered skipping the Oscars entirely and just watching who won Best Animated Short online, especially as the Academy was considering presenting some categories during commercial breaks, but in the end I decided to tune in for the whole thing. 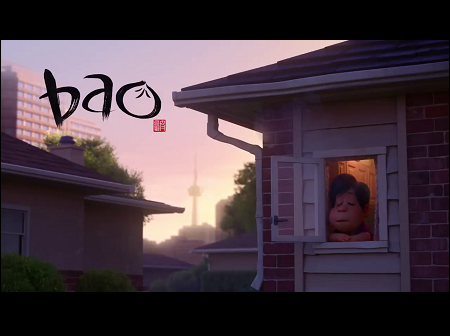 That still meant that Best Animated Short was the category I'm most anticipating. And of course presenters Aquafina and John Mulaney called it a big one. And of course I have to present the winner? And the winner this year? Well today's the big day! It's the day of the Oscar announcement, and the day we find out what five films will join in the annals of Oscar history of Best Animated Short nominees. Well, it's been three hours since the nominations were announced, so that isn't that much of a surprise anymore. However, this was an unprecedented year and all ten of the shortlisted films were made available for public consumption. Some of the films have been taken down by now, but as a result for the third time since I've been following this category, I have seen all five nominees on the day of the nomination announcement, and I can go ahead and post my review. I may try to make a showing, just because I do really like this particular crop of nominees. As far as the rest of the nominations go, I'm afraid I haven't kept up with life action films as much. I do know that the Academy dropped their plans for a Best Popular Film category and just went ahead and nominated Black Panther for the award. The only other Best Picture nominee I saw was Bohemian Rhapsody and was somewhat underwhelmed. Yes, I still haven't seen BlackkKlansman, The Favourite, Green Book, Roma, A Star is Born, or Vice. I am 5/5 on the Best Animated Feature nominees: Incredibles 2, Isle of Dogs, Mirai, Ralph Breaks the Internet, and Spider-Man: Into the Spiderverse. I will note that Mirai is the first animated film from Japan not made by Studio Ghibli to get a nomination in this category. Unfortunately, I still think Wolf Children is Mamoru Hosoda's stronger film. And in case you're wondering, the Studio Ghibli films that got a nomination were Spirited Away, Howl's Moving Castle, The Wind Rises, The Tale of the Princess Kaguya, and When Marnie was There. Anyways, I don't have much else to say about the other films, so let's just go to the reviews. So I had just found out about the passing of Borge Ring, the legendary Danish animator who was nominated for an Oscar for his 1978 film Oh My Darling..., and who won the coveted trophy seven years later for his masterful film Anna & Bella (although the Oscar itself was claimed by producer Cilia van Dijk. He was 97 years old. I suppose it's not entirely sad when a man lives to be 97. He's lived a full life and had numerous accomplishments that are completely separate from winning an Academy Award. It is still a time for mourning, especially for a man who made two of my favorite films that had ever been nominated in this category. Back in September, Cartoon Brew posted a list of films that had qualified for the Best Animated Short Oscar, either through winning festivals or Student Academy Awards or through public exhibition. Rather than post the entire list which is what Cartoon Brew already did, I eulogized Will Vinton instead. I decided to wait until the shortlist was announced before writing about them. Traditionally the shortlist had been announced at the end of November, but that day came and went with no announcement. Last year the announcement was announced on December 4, but that day came and went. I waited and waited and kept trying to find as many of the qualifying films as possible. At last, the Academy dropped the shortlist for nine different categories, including Best Animated Short. We finally have a list of the films that would be competing for the Best Animated Short Oscar! 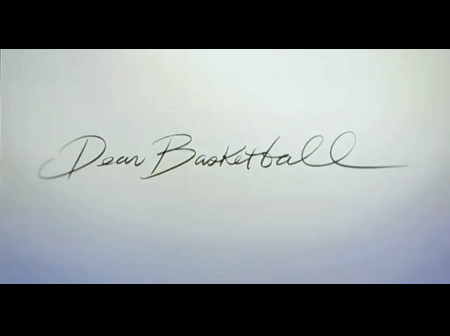 It has been a few months since I last posted, when Dear Basketball won the Oscar. It's now been a week since Cartoon Brew posted a list of the animated short films that have qualified via either public exhibition, festival awards, or Student Academy Awards, but it was not a definitive list, and much of the films that were featured are still only trailers. So I decided not to make a separate post when it wouldn't be much different than what Amid Amidi had already done. Instead, I will take this time to report on another major news event: the death of a previous winner of this category, the legendary stop motion animator Will Vinton, who died earlier today of complications from multiple myeloma. 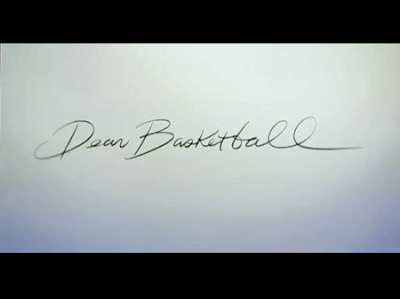 DEAR BASKETBALL wins Best Animated Short! Well, it's time for my annual review of the Best Animated Short nominees, pretty much the only post I care to write every year. This year I'm writing it much later than I'd like. I've been following the Best Animated Short category since starting to watch all of the nominated films shortly after the 2006 Oscars (or the Oscar ceremony dedicated to honoring the films from 2006, which is my preferred way of classifying ceremonies.) It was before the 2009 Oscars that I found out about the Shortlist, and since then I've been trying to watch as many as I can before the nominations are out. On only two occasions I've seen all five on the day of the nomination. For all the rest I've had to rely on the screenings around the country of the Oscar nominated short films, which have become quite popular. Alas, most of the times there are usually only one or two films that I'm missing, and I have to go to the showing, which I've gone to anyways even on the two occasions where I have seen all the nominees by the day of the nomination. Anyways, this year I saw three of the nominees before the nominations were announced, and was able to find another one online after that. Sadly, I had no luck with the last film, and had to go to the showing, which seemed to happen later this year than in previous years. Nevertheless, I was going to Houston for a card show on February 11 and was able to find a theater showing the films on February 10, so I was able to get the films seen. So here's my review on each of the five films.